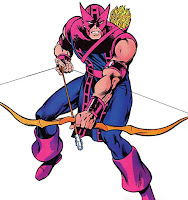 The Hawkeye character which we see in the Marvel Movies has a very different backstory from the original Clint Barton character first introduced in the comics in 1964. Hawkeye is one of those complex characters who wants to do the right thing but ends up in big trouble. Orphaned at an early age Clint and his brother ended up working in a circus. Clint found he had natural abilities in archery which he honed to an expert levels, this in turn made him a famous performer. 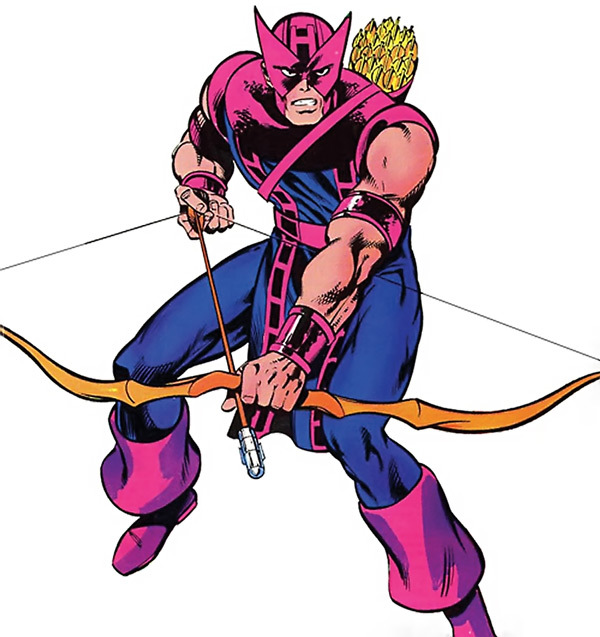 Clint refused to join his mentors and brother in a life of crime and ended up working in various carnivals as the costumed persona "Hawkeye". One day, when witnessing Iron Man save the lives of some people at the carnival and he decided that he too had what it takes to could become a costumed crime-fighter and become even more famous. But as luck would have it, on Hawkeye's first night on patrol, he was mistaken for a criminal by the police and hunted down. Envy is a feeling of unhappiness or a resentfulness because of someone else's possessions or qualities. It’s different than jealousy, which focuses on what we ourselves own and is not always a sin. 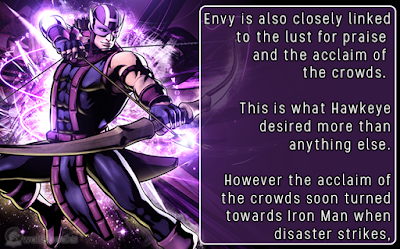 Envy focuses on others and their blessing. It hunts in a pack, keeping company with other “works of the flesh,” like covetousness, malice, rivalry, and resentment (Galatians 5:19–21). 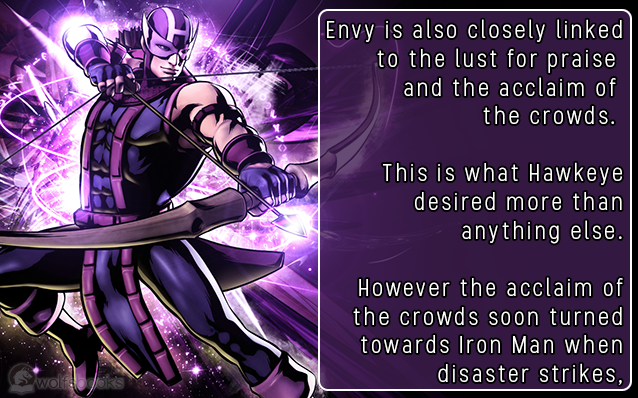 Envy is also closely linked to the lust for praise and the acclaim of the crowds. This is what Hawkeye desired more than anything else, the praise and acclaim of the crowds. This is what he got as a master archer, however the acclaim of the crowds soon turned towards Iron Man when disaster strikes and Iron Man steps in to save lives. Hawkeyes lust for praise, and his bitterness toward Iron Man, takes him down a bad pathway in trying to eliminate his competition. Those familiar with the Easter story can see a parallel between Hawkeyes enviousness and the Pharisees (Jewish Leaders). In the lead up to the Passover the popularity of Jesus and his ministry was growing, but it reached a new high when he publicly raised Lazarus from the dead. The Pharisees see God’s blessing in and through Jesus, and all they can see are the crowds departing from them. “Look, the whole world has gone after him” (John 12:19). 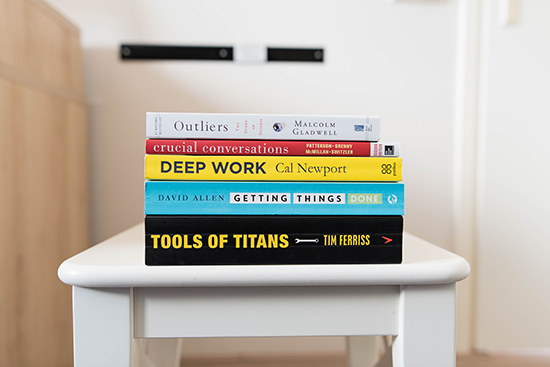 They decide to take action and like Hawkeye, are lead to believe that the only way to retain their position and influence must be to fully and finally attend to Jesus. The competition needs to be eliminated. This is where the parallel ends because Hawkeye eventually redeems himself and joins Iron Man's Avenger team as a hero. The Pharisees continue down their path and out of envy, deliver up Jesus Christ to death on a cross. The Good news is the envy of the chief priests was not the ultimate reason that Christ was delivered up. God used their envy to move His plans forward (Acts 2:23). God’s hand and God’s plan stood behind the arrogant raging of the Gentiles and the jealous plotting of the Jews (Acts 4:27–28). The lawless envy of the chief priests was God’s appointed means for accomplishing his gracious purposes for the world. Christ died at the hands of envious men and was raised to life again, that he might deliver everyone from the same envy that nailed him to the cross. Christ died for sins once for all, the righteous for the unrighteous, to bring you to God.